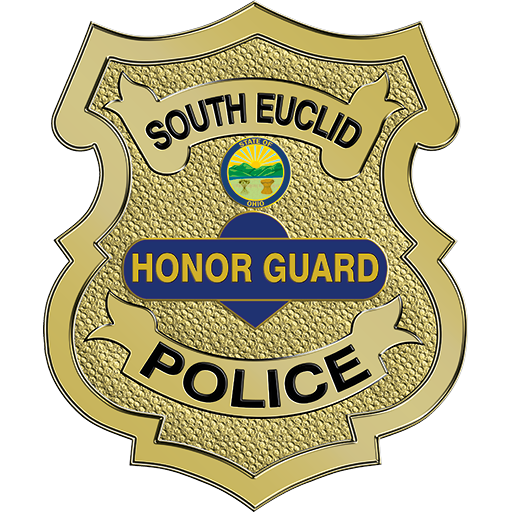 The South Euclid Police Honor Guard was re-established in 2013, thanks to the efforts of Chief Kevin Nietert and Lieutenant John Camper. 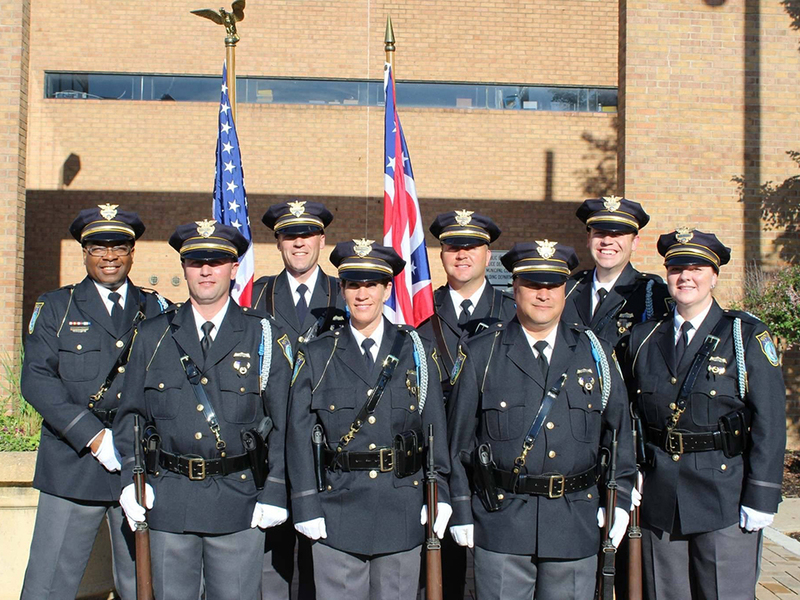 The unit consists of nine volunteer members of the South Euclid Police Department, including two members of the Detective Bureau. A new Manual of Arms was adopted, combining some of the best ceremonial drill movements from the US Army, Marine Corps and Air Force Drill Manuals, while still keeping with time honored traditions. Unit members designed and approved their new uniforms. The Honor Guard Unit has received generous donations from University Suburban Health Center, Walmart, and Legacy Village to make it all possible. Donations were used to purchase the leather gear and equipment, while the clothing portion was paid for by each individual member. The unit’s rifles, the venerable M-1 Garand, are on loan from the Department of Civilian Marksmanship. 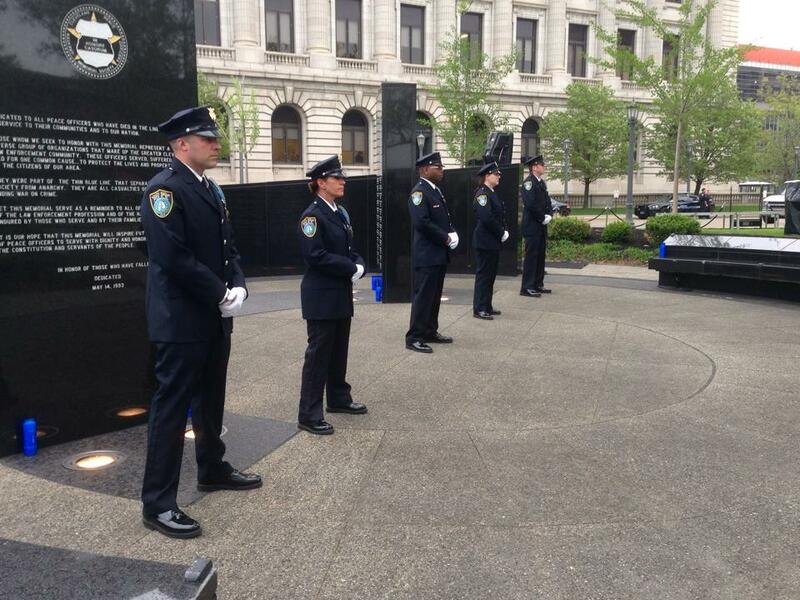 The new unit’s first act was to participate in the 2014 Greater Cleveland Police Memorial Ceremonies. We were honored to ‘Stand Watch’ at the Memorial and also marched in the parade. 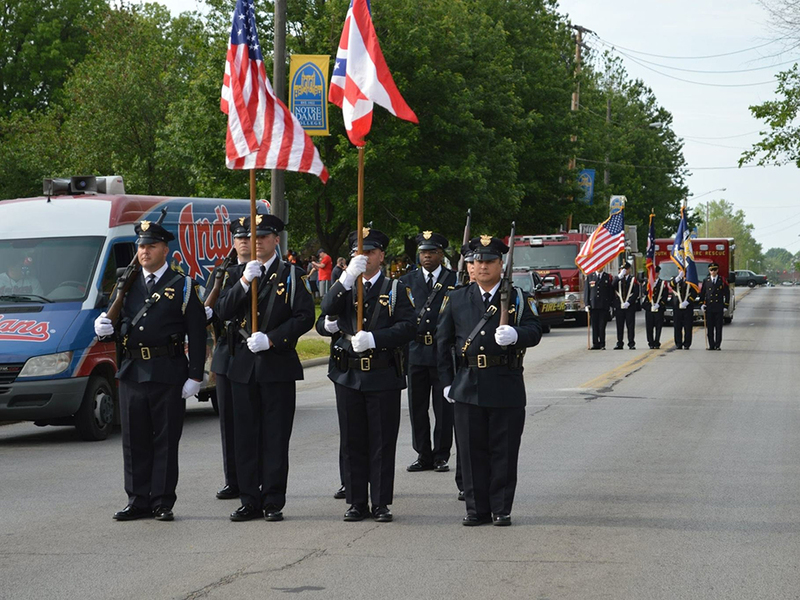 The South Euclid members were among the officers carrying an extremely large American flag along with officers that traveled from New York, Las Vegas and Canada, just to name a few. This unit has participated in the memorial ceremonies each year since. 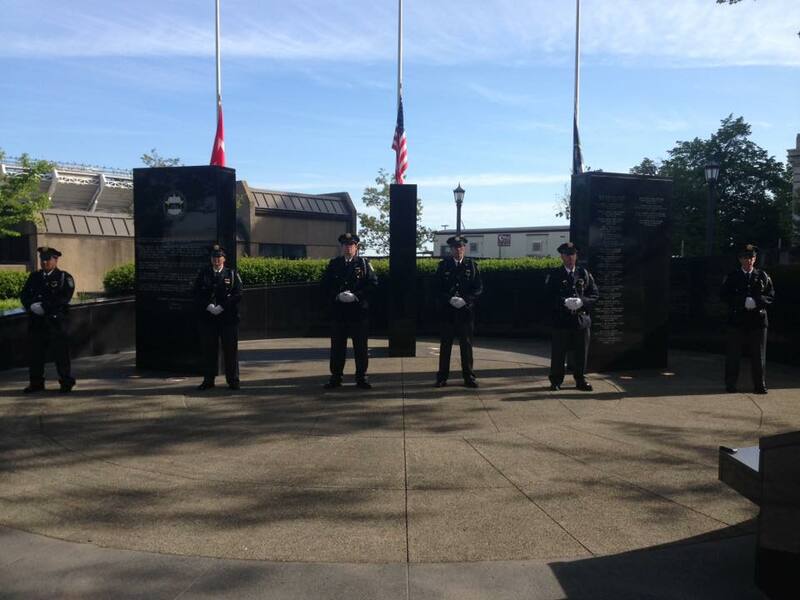 The Honor Guard routinely participates in the City of South Euclid’s Memorial Day Parade and provides a rifle salute at the City’s War Memorial. 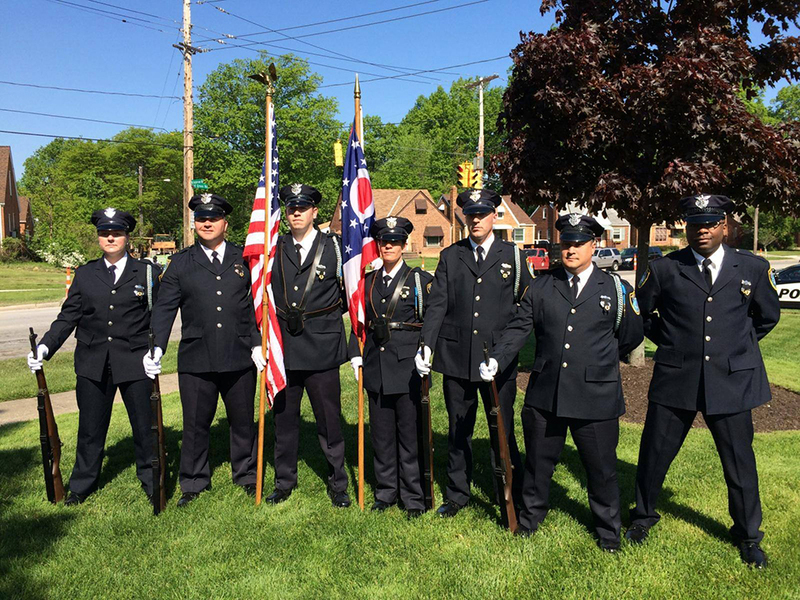 On July 1 and 2, 2015, the South Euclid Police Honor Guard had the sad, yet solemn honor to provide watch over the casket of South Euclid Lieutenant William Schaefer and escorted him to his final resting place. The unit is honored to train and prepare to represent the South Euclid Police Department as the Ceremonial Unit at any time duty calls.